Place of Birth: Newham, London, England, U.K.
21 Savage is a British-born rapper, songwriter, and record producer. 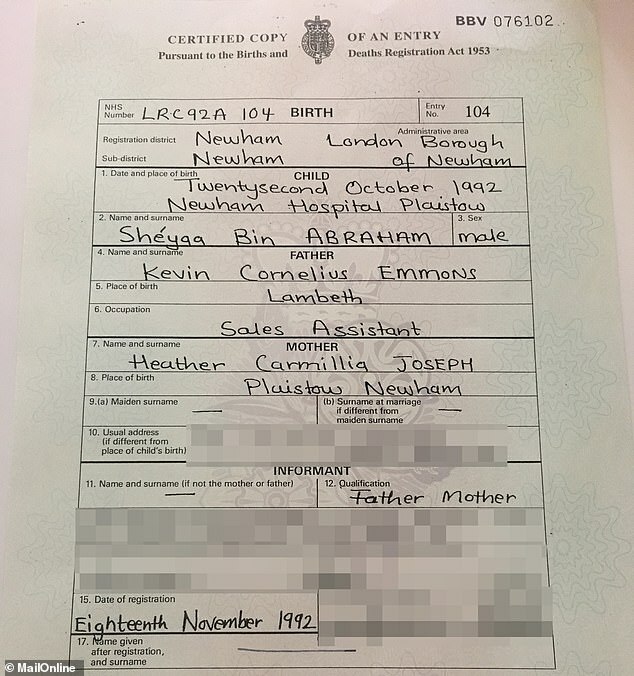 21 Savage was born in Shéyaa Bin Abraham-Joseph in Newham, London, England, the son of Heather Carmillia (Joseph) and Kevin Cornelius Emmons. His parents are British-born. He is said to be of Dominican (from Dominica), Haitian, and Saint Vincentian descent. He was raised by his mother. 21 Savage grew up in the Ifá religion and divination system, which he practices. 21 Savage has three children. In 2019, he was arrested by U.S. immigration services, which accused him of having been in the U.S. illegally since 2006. He was previously reported as having been born in Atlanta, Georgia, which is incorrect. 21 Savage’s maternal grandmother’s surname is Brumant. The name Brumant is common on Dominica. Btw, did anyone find his explicit ancestry? His maternal grandmother’s last name is Brumant, which means she’s almost certainly from Dominica. That’s a common last name in Dominica, and Joseph is perhaps the most common last name in the country. If his father is Kevin Emmons, then he’s most likely Vincentian. There’s a man going under the name Ansu Anpu, claiming he’s his father, and that man is Jamaican. So his ethnicity should be changed to African-Dominican for his mother, and his father African-Vincentian and/or African-Jamaican. Since when is Black British an actual ethnicity? He obviously has ancestry from elsewhere lol. I never heard of “Black British” until this website but I guess you learn something new everyday. There’s a Wikipedia page on “Black British.” I think it’s a good placeholder name until we know more. I don’t think he’s Haitian, but Vincentian.